The ISST is headed by an Executive Board which is responsible for management and decision making on an ongoing basis. 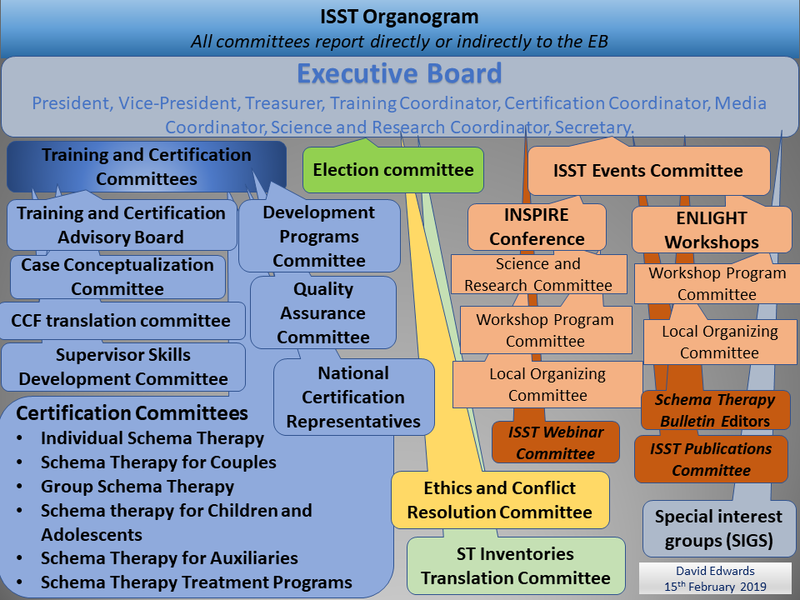 Several other committees contribute to the running of the ISST. This is summarized in the organogram below. In this way, a large number of members contribute to the running of the organization. In terms of a decision of the Executive Board at its meeting of 6th August 2018, it is the responsibility of Committee Chairpersons to ensure that information on the website related to their responsibilities and activities is up to date and this includes providing information about relevant ISST statutes and regulations. Click on the tabs below for detailed information about each committee or structure. Please note that these pages are currently being updated and that the information is still incomplete.